Barely a month after their electoral victories, Golden Dawn launched a widely-criticized branch in Melbourne, Australia, home to one of the largest Greek populations outside of Athens. 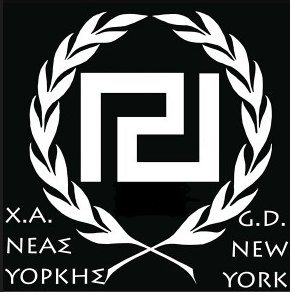 In October, several groups protested the opening of a Golden Dawn office in New York City, which had opened for the explicit purpose of building support for the party among Greek expatriate communities and collecting food and medicine to distribute in Greece -- but only for Greeks. And in Montreal, Golden Dawn is holding a Christmas food drive. The catch? They're only giving food out to Greek Christians. "Golden Dawn members in the United States have told CBC News they plan to open chapters shortly in Chicago, in Connecticut and in Toronto." In Sept. Digital Journal reported Greek ministers had debated outlawing Golden Dawn but Prime Minister Antonis Samaras did not give his support to the initiative. Now KTG reports unconfirmed sources reveal Samaras and third party coalition leader Fotis Kouvelis, allegedly gave their consent if the proposal has a sound legal basis. Currently it would be against the Greek constitution to outlaw a democratically elected party. In 13 nearby polling stations, Golden Dawn averaged more than 20 per cent of the vote, whereas in the neighbouring "civilian only" polling stations it received 6 per cent of the vote, or below the Athenian average. In other words, it seems that it is the police presence that is the variable, which is pushing the Golden Dawn vote upwards. If we make this assumption (and yes, it is an assumption), we can conclude that the percentage of police who are voting for Golden Dawn is consistently higher than the actual result from the polling station. In a video posted on the Internet, the spokesman, Ilias Kasidiaris, can be heard arguing with police officers after demonstrators gathered near the site of one of the party’s events on the island on Sunday. Mr. Kasidiaris, who in June was charged with assaulting two rival lawmakers during a live television debate, told the police there would be deaths if the protesters were not removed. “Believe me, you’ll have dead people by tonight,” Mr. Kasidiaris can be heard telling a senior police official. On Monday, as political parties condemned his outburst, the Greek police said the video had been sent to a prosecutor in Crete. Right now, they aren't exactly seen as the most hospitable organization in Greece. How their outreach programs fare with the Greek-American, Greek-Canadian, and Greek-Australian communities remains to be seen.